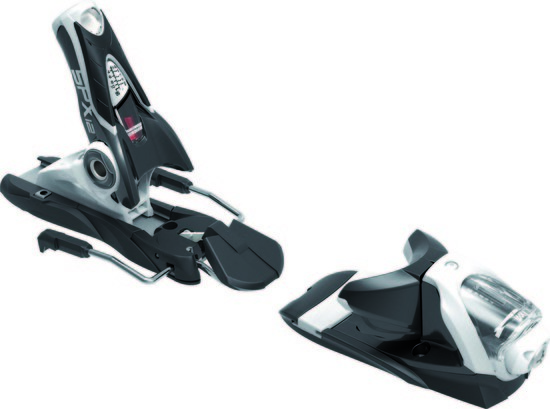 The 2018 SPX 12 Dual WTR is an all-new, high-performance alpine ski binding with a 3.5-12 DIN range and multiple brake width options. Most importantly the SPX 12 Dual fits both Alpine ski boots and WTR ski Boots, while maintaining a neutral stance. The all-new SPX heelpiece combined with the reinforced Full Drive toe delivers the industry's strongest coupling strength (boot-to-binding interface) for maximum power transmission, precision, and control. Featuring the longest elastic travel on the market, SPX Dual bindings also provide superior shock absorption, reducing unwanted pre-release for dependable, trustworthy alpine performance. And with a substantial reduction in weight, reduced ramp angles for a more neutral, upright stance, and improved step-in/step-out functionality, the SPX 12 Dual offers less fatiguing, more user-friendly alpine performance for committed all-mountain, freeride, and freestyle skiers.